Our lead and assistant caregivers at Little Nest Care meet the following requirements, which well exceed the Illinois DCFS licensing standard and is definitely one reason which makes Little Nest Care stand out from any other program. Lead Caregivers must have a degree in Early Childhood or other child development related field from an accredited college/university, as well as, at least four years of direct experience of working with children under the age of 5. Assistant Caregivers must have a degree or currently pursuing a degree from an accredited college/university with coursework completed in Early Childhood Education and at least three years of direct experience of working with children under the age of 5. Little Nest Care is staffed with not only educated, but passionate and dedicated caregivers. Our caregivers go through a thorough interviewing process, to ensure that each candidate meets our high standards that are required to care for our owlets and owls. Our staff is required to go through a strict background check, provide a health assessment, present three professional references, and recommendation letters that speak to the caregivers early childhood care. Once caregivers pass the screening process, they are prepared for training. Training includes an orientation and certification completion, that needs to be completed by each candidate. Little Nest Care goes beyond to support staff on their professional development, we ensure that our caregivers exceed the Illinois DCFS licensing standards with over 20 hours of professional development each year. 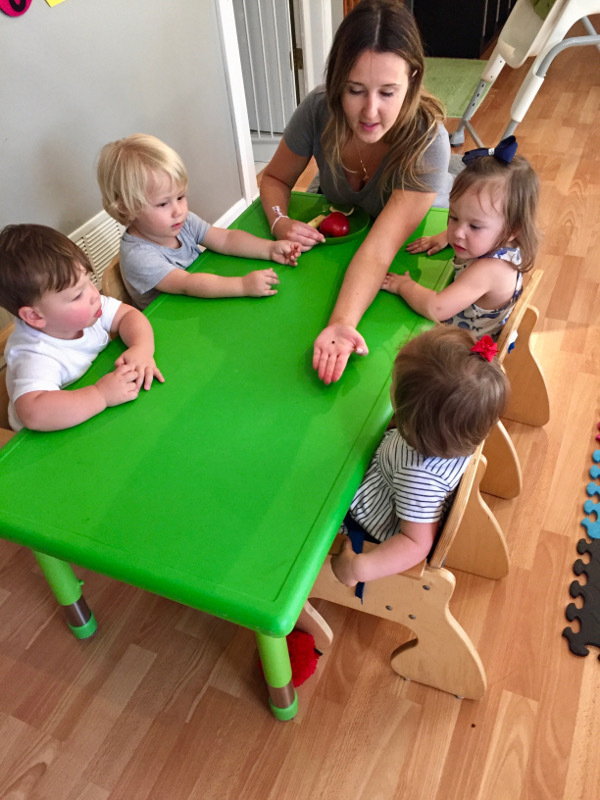 We want to assure our staff continues to grow in the early childhood education field, which helps the Little Nest Care certify they are working together as the most qualified team.